Dana’s wide variety of advanced heat exchanger designs for charge air cooling provides improved engine volumetric efficiency for specified engine performance and lower engine displacement in hostile environments. 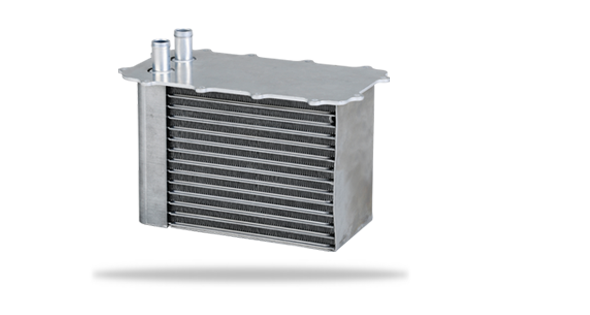 Coolant-cooled charge air cooling provides a smaller packaging space for the heat exchanger since it’s often mounted on the engine, and 40-65 percent reduced inlet air pressure drop through the optimized charge air ducting. Coolant for the charge air cooler can be routed from the engine coolant circuit or from a sub-cooled radiator loop.